Adrienne graduated from Texas Tech University with a Bachelor of Science degree in Human Development and Family Studies and a Master of Education degree in Secondary Education. She also graduated from Southern Methodist University with a Master of Science degree in Counseling. She is an LPC, and a member of the Texas Counseling Association, Texas Mental Health Counselors Association, and Texas School Counselor Association. 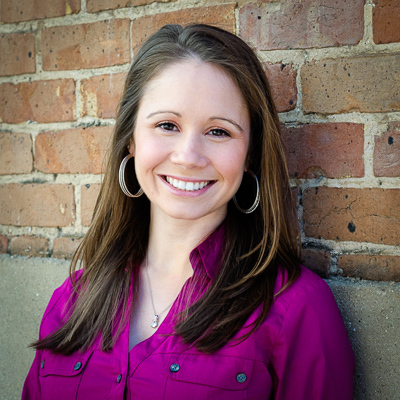 Adrienne has over a decade worth of experience in the public school setting as a teacher and school counselor. Adrienne has experience providing counseling services to adolescents, adults, families, and groups. Areas of focus include, but are not limited to: anxiety, depression, ADHD therapy, family conflict, grief, anger management, trauma, development of improved coping and communication skills, and adjustment to life changes. Adrienne’s approach focuses on solutions, encouraging clients to challenge distorted thoughts, and change destructive patterns of behavior. If you change your thoughts, your actions follow; therefore, your situation changes. She will assist you in your counseling journey by providing a judgment-free, compassionate, safe, and comfortable environment in which you can address challenges and begin working on solutions. Adrienne is available for evening and Saturday appointments. Adrienne can be reached at (972) 380-1842.